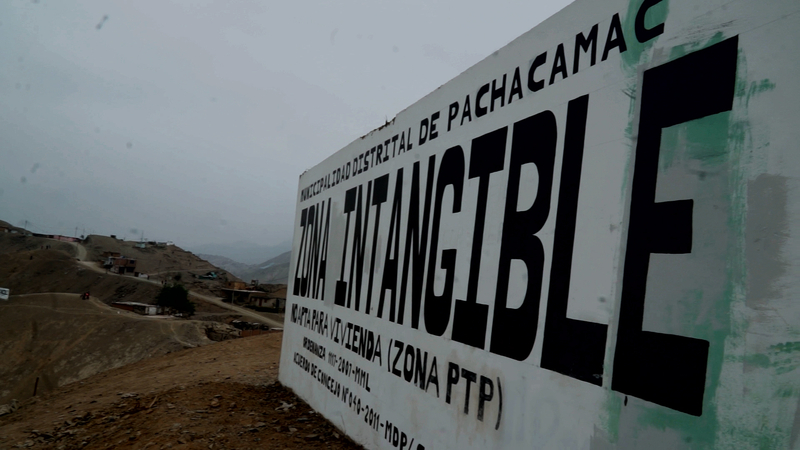 High on a dusty hill outside Lima, a sign ripples in the wind: “Zona Intangible,” the intangible zone. At first you might think there are some dangerous chemicals buried there, or live electrical wires. But what the sign means is: don’t try to build your house here. Just a few hundred yards downhill from the sign, we watched Lillian, her husband Alfredo, and their son Kenneth hack away at the soft sand, trying to carve out a foundation. Another family had some pre-nailed walls stacked nearby: their future one-room home, at the ready. This is the uphill edge of Manchay, founded by people whose driving desire was to live in peace. Most of them came from a landscape that could not have been more different from this one: the green valleys of the Andes, glittering with glacier-fed streams that watered their fields and pastures. They came from families who’d lived in those valleys for hundreds of years. 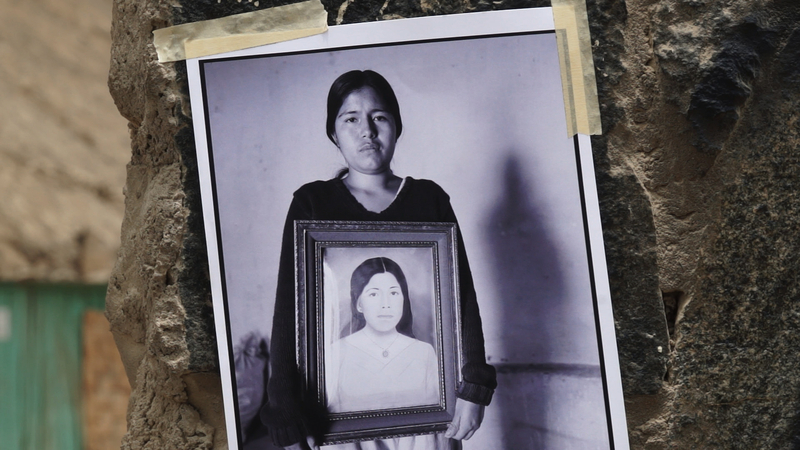 They spoke Quechua, not Spanish. Their food, art and traditions bore little resemblance to the coastal, urban culture of Lima. And yet they came by the thousands to this bone-dry moonscape because their mountain world had become a battle zone. In the 1980s, the people of the Andes found themselves caught in the crossfire of violent guerrilla warfare between the Shining Path terrorists, who had decided to make the Andean provinces their stronghold, and the panicked Peruvian military, who mistakenly assumed the local farmers were all Shining Path sympathizers. 70 thousand people died or “disappeared.” Those who made it to Manchay considered themselves lucky to be alive. They built houses, by hand, from whatever materials they could find. They persuaded water trucks to climb up from Lima. Gradually, they opened and filled churches, schools, markets, small businesses and a clinic operating out of a school bus. That clinic, now called the Policlinico Carlos Hedreen, is a 12-year-old health center serving the thousands of people who live in Manchay. It was named after Ann’s great-uncle Carl. He wasn’t Peruvian, but he helped launch the country’s thriving fishmeal industry in the late 1950’s, working with local fishermen on Lima’s coast while also raising four children. The clinic was named in Carl’s honor by his friends and family, and telling this story of the clinic’s role in Manchay was our main reason for coming to Peru. We made our first trip in October and November of 2013. Once we talked to the people of Manchay, we began to see this new, hand-made city with different eyes. We met people like Dr. Juan Fabian, the dedicated young doctor who not only treats patients at the clinic, but also visits the local school kids to teach them the importance of washing hands and eating vegetables. We met Father Jose Chuquillanqui Yamamoto, who narrowly escaped execution by the Shining Path to become a beloved and tireless champion of Manchay. 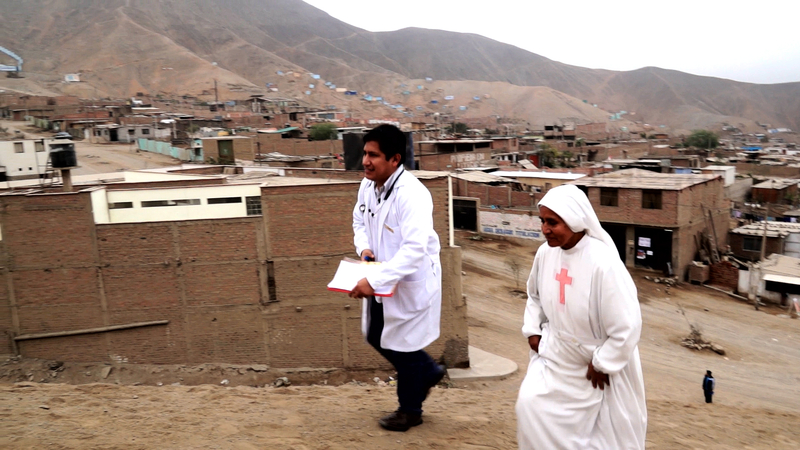 We met Hermana Isabella, the energetic nurse who climbs the steep, sandy hills of the city to make house calls. We met teachers, mothers, community leaders, and a young man named Edderson, a student from a village even poorer than Manchay. He speaks Quechua with the elders who remember the reasons they had to flee their mountain home. And we met Coco, a young Peruvian architect and graduate student from the University of Washington struggling to bring the water and resources Manchay already has to yet another human settlement, Puente Piedra, on the far side of Lima. The people here paid a high price to live in this intangible zone of peace and safety and hope for the future, and they value these intangibles in a way most of us have never had to. The human need for peace may not be something you can hold in your hand, but through the dust and noise and lively commerce of a brand-new city like Manchay, it is palpable. It is visible.